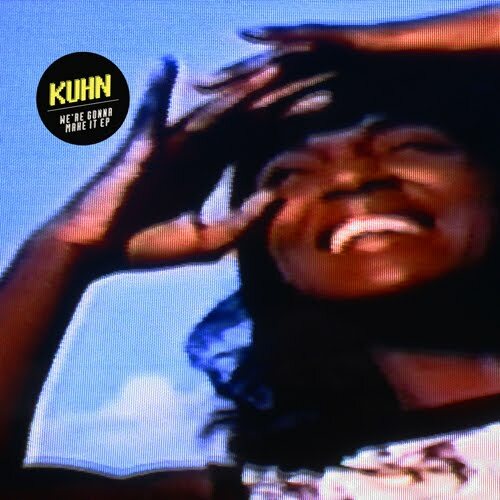 In anticipation of the 12”/digital release of debut ‘Slime Beach EP’ on Civil Music on 7th Nov 2011, Kuhn presents a 4-track promo EP centered on single ‘We’re Gonna Make It’ with remixes from Magical Mistakes and Obey City as well as an alternate dub from Kuhn himself. ‘We’re Gonna Make It’ is a love song set in space. Warm vocals and guitar lifted from the solo output of Zombies lead singer Colin Blunstone are reconfigured around a halftime shuffle, with static snares, lazer blasts, and persistent lower-than-low subs setting the pace. Kyushu, Japan-based pop bass maverick Magical Mistakes passes the original through constantly shifting acoustic environments, crunching through tears in time and space until settling into a triumphant, melodic finish, while Astro Nautico compatriot Obey City’s remix targets the club, reinforcing the original’s drums with a thunderous 808 workout adorned with glamorous synth bell glissandi up top. An alternate dub from Kuhn closes the EP with a crescendo of Hell-broken-loose screaming detuned saws that releases into a peaceful, undulating reprise of the original’s celestial idyllics.